Facebook will make the camera's hardware and software all open-source, starting this summer. Facebook wants more 360-degree videos on its platforms, so it made an open-source 360-degree video camera. 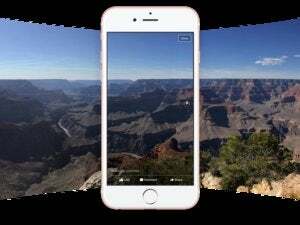 On Tuesday, Facebook unveiled the new Facebook Surround 360, a state-of-the-art camera for capturing videos in 360-degrees. The device is made up of 17 cameras and uses Facebook’s proprietary algorithms to automatically stitch the images together. Facebook will not be selling the 360 camera, however, opting instead to make it open-source. The hardware design and software documentation powering the Facebook Surround 360 will be made available on GitHub later this summer, Facebook said during its F8 developer conference where the product was first introduced. The Surround 360 will capture video from different angles at once, and will stitch them together using state-of-the-art technology. Facebook is hoping that giving away plans for this camera will fast-track the development of 360-degree videos, meaning more immersive content for both News Feed and virtual reality videos for Oculus Rift. Basically, the Surround 360 helps Facebook fulfill two of its goals: Increase user engagement in its core product and get more VR content. The story behind the story: Facebook made a billion-dollar investment in virtual reality when it acquired Oculus back in 2014. It wasn’t until September 2015, however, that Facebook introduced 360-degree videos into News Feed. 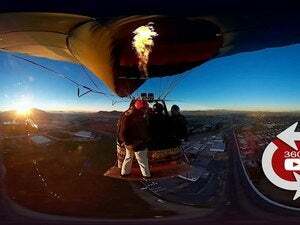 With Facebook’s reach, the Surround 360 will undoubtedly help proliferate the creation of 360-degree content. And this will give Facebook more videos to promote to its users and lure in potential high-impact advertisements.